Mp3Tag is a program on Windows that lets you import the most common sound files you have got on your computer and quickly change their tags like artist, name etc. It is that fast because it enables you to select a whole group of items at once and change the tags they have in common in one action. 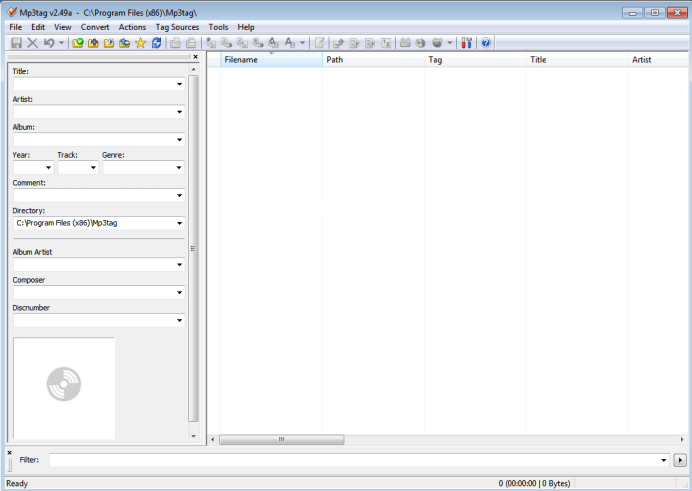 Select the files to tag by either dragging and dropping them on the white item panel or selecting a directory in the system panel. After each tag action, save the current file state. Mp3Tag is able to gather tags from various internet databases to help you get the correct information.